It’s nice that more companies are paying attention to what’s going on around them in the digital world. Many more brands are becoming actively engaged in listening and responding to consumers. Unfortunately, just as many brands are paying lip service to doing so, and that’s a real problem. Let me rant about a couple of examples I’ve seen lately and you’ll see what I mean. When we asked how social has driven that accountability, people highlighted the power dynamic between individuals and brands, with 80% saying that social helps uncover instances of businesses treating people unfairly and 65% noting the power of social to amplify issues, not only through posting your own complaints but through sharing others’ posts. In other words, social media makes consumers feel empowered. They can stand up to the man! They can rain fire and brimstone on brands which they perceive have wronged them in some way. I suspect that isn’t news to you, either personally or professionally. After all, who hasn’t posted a review or commented on a friend’s social post about a customer experience, either good or bad? An unhelpful response from brands is sometimes considered worse than no response at all. In fact, 50% of those polled said they would never buy from a brand again if it responded poorly to their complaint. Nearly as many said a bad response via social media increased the possibility that they would share their experience with friends. Let me give you a couple of examples. I was recently researching a vacation. The place I had under consideration had many recent reviews, mostly good. The GM of the property has taken the time to read each one because he responded to them. Unfortunately, he seemed to have two canned responses – one for good reviews and one for negative reviews. On occasion, he’d go a little beyond the basic comment but for the most part, there were two responses. Had I received one of those, it wouldn’t have taken me long to notice everyone else got the same response. I would not be happy. On the other side of the fence is a company (OK, a bank) with which I had an issue. I posted something on social media and got a response within 10 minutes. They asked me to send them an email address and a phone number, and they called within half an hour. We discussed my issue and I received a detailed email resolving the problem later that day. The first company is half pregnant in social; the latter one is fully engaged. With which one would you rather do business? More importantly, which company are you? Why do I need to go to school? Why do I need to learn this stuff? That’s our topic today, and I think it’s something that applies to the business world as well. The answer to the first question is pretty obvious, and it’s not just because your parents are exhausted after driving you around all summer and need you gone for a bit. I’m a lot more interested in the second question because I think that most students, parents, and teachers get the answer wrong. You don’t need to learn “this stuff.” I can’t think of a single instance in my adult life where understanding differential equations or the structure of the carbon atom has been required. So as a public service, I’m going to give you the answer to the second question which hopefully also answers the first. I’ve given it out before but hey, it’s the first day of school and the questions might come up again so you’re welcome. You go to school to learn two things. How to locate and verify pieces of information (let’s call them facts) in order to formulate your thoughts. How to express the thoughts you formulate both orally and in writing to communicate your thinking. That’s it. Learn those two things and you can pretty much do anything you choose to do in this world. Ask yourself how many business people you know who can do those two things successfully and I’ll bet you also have a list of the best business people you know. In an era when “fake news” is a term thrown around like beads at a Mardi Gras parade, understanding how to determine what news is really fake and what’s just being labeled as such to distract you from facts is critical. Not everything you read in your school books is accurate, but if you don’t have a well-developed BS detector as well as the skills to track down the truth, how will you create accurate thoughts from inaccurate information either in school or beyond? Please feel free to print this off and hand it to your kids, large or small, who are wondering about school. Feel free to ask yourself if you managed to learn those things along the way as well. If not, maybe it’s back to school for you too? It’s Foodie Friday! I spent many years working in the sports business and because of that, I was privileged to attend hundreds of sporting events around the world. One of the best parts of those experiences was the food. Inevitably, there was some down time which allowed me to wander about the arena or stadium and sample the food. I am a big believer in what I consider the truism (as the late great Frank Deford wrote) that a hot dog tastes better at the ball park. I’m such a devotee of having a dog (or 3) at the game that I usually have one before I even get to my seat. But why is that, and, more importantly for our purposes here, what does that tell us about our business? You might suppose that it’s the particular brand of dog served. I’ve purchased the identical brands served at various places and they never taste the same when I prepare them at home. I’ve boiled them, steamed them, grilled them, or some combination of methods and yet while the taste is similar, it’s not the same. It’s not the condiments or the bun (steamed, grilled, toasted, or right out of the bag – doesn’t matter!). No, dear readers, it’s the environment. Many studies have demonstrated the effect that environmental elements have on our perception of food. Obvious things such as lighting and less obvious things such as the music playing have been proven to change how we perceive food tastes. One obvious example is food eaten on an airplane, where the pressure is lower and the noise is higher. Our taste buds don’t function as well at 35,000 feet so airline chefs overseason their dishes (the combination of dryness and low pressure reduces the sensitivity of your taste buds to sweet and salty foods by around 30%, according to a 2010 study conducted by Germany’s Fraunhofer Institute for Building Physics). What does this have to do with your business? A lot. The environment we create in our offices or stores or even our digital presences can affect how workers and customers “taste” what we’re offering. If we demonstrate a commitment to openness and trust, we create an environment where everyone perceives that things are better than elsewhere even when they’re common events. We can yell and scream while we eat at the ballpark. The food tastes better because we’re having fun. Are you encouraging that kind of fun in your place of business? Most concession stands offer condiments so you can have your food the way you like it. Do you offer the same kind of personalization to your workers or customers? Do you take their personal lives into account and offer some flexibility in hours or remote work? Think about why the same dog you prepare at home tastes way better at the stadium as you think about how you approach your customers and your business. You’ll be on the way to standing out from your competitors, even if they’re offering a similar product or service. I’m not sure if the story is true (historians disagree), but back around the time of The American Revolution, Russia had fought a war to annex Crimea (talk about history repeating itself!). The governor of the region, Potemkin, was trying to impress the empress and the ambassadors from other countries as they toured “New Russia.” Although the region was devastated, Potemkin set up “mobile villages” which were populated by his men dressed as peasants. As the barges with the VIP’s passed by, they’d be impressed by how lovely it all seemed. 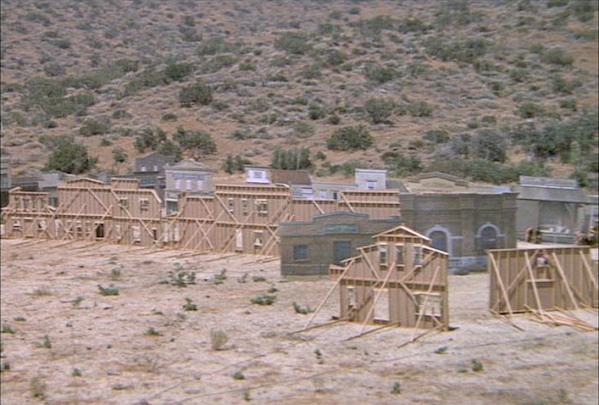 Once they were gone, the villages would be dismantled and moved to the next location. The term “Potemkin Village” has come to mean any construction (literal or figurative) built solely to deceive others into thinking that a situation is better than it is. The term (as well as a key plot element in Blazing Saddles!) came to mind as I read an article about a new app that allows businesses employing it to summon “its ideal crowd and pay the people to stand in place like extras on a movie set. They’ve even been handpicked by a casting agent of sorts, an algorithmic one that selects each person according to age, location, style, and Facebook likes.” Presumably, when you see the line, FOMO kicks in and you are overcome by an insatiable desire to join the crowd. I’m not naive. I worked in TV for a long time and know how laugh tracks are used and how stage managers will fire up a crowd to applaud as a show goes to and returns from a commercial break. I get enough press releases to recognize hyperbole and the need to surround something very common with an uncommon sense of excitement. The use of this app by a business, however, reeks of opacity when transparency is a critical element in marketing these days. In my mind, it’s as bad as any other kind of “fake news” that is manufactured out of the air to advance an agenda. How would you feel if you found out that most of the other people attending a party were paid to be there? Deceived, I’ll bet, and that feeling generally leads to anger and a determination never to go back. Is that how you want your customers to feel? Humans generally read at a rate of about 300 words per minute. That works out to about 5 words per second. If those numbers are correct, you’ve already spent that long reading this far. Thank you! There’s a reason why I’m happy about it: you’ve stayed with me beyond the average length of time any of us have to grab someone’s attention. Research from the Statistic Brain Research Institute found that 17 percent of pages are viewed for less than 4 seconds. It also shows that the average reader’s attention span has declined to 8.25 seconds in 2015 from 12 seconds in 2000. This is, as I wrote a couple of years back, is shorter than the attention span of a goldfish. And while I might be able to get half of you to read my short posts (I lose half of you at 111 words), only a quarter of you will stick with me to the end of a long (593 words) post. That’s why I rarely write a screed of more than 450 words. Any of us who create content of any sort – ads, articles, videos, or whatever – need to be cognizant that attention spans are going down just as the number of things screaming for that attention go way up. That means we need to personalize our messaging wherever possible and to be sure that whatever messages we’re sending make sense. Be brief and make sure that those first 15 words count. If you have an offer, particularly if you’re giving the reader something, make that offer and give that gift up front. That chances of you earning some reciprocity (they’re giving you attention!) increase that way. Attention is the currency of marketing and content. The ability to gain and keep that attention is extremely valuable. You’ve got less than 8 seconds and maybe only about 15 – 20 words to get it. Go! It’s Foodie Friday but I want to talk about Thursday. Why Thursday? That’s the day I do my grocery shopping because my preferred supermarket gives a 5% discount to seniors. Stop snickering – I managed to live this long and I deserve the benefit! One thing I’ve gotten much better about is saving as I shop. Nothing brings joy to me these days like finding a coupon that I can layer on top of an item already on sale. This happened yesterday with Duke’s Mayo and I was nearly brought to tears. In any event, I thought I might pass along a few things I’ve learned, and as it turns out, many of them have a lot of application to your business as well. First, I try to make some sort of a weekly meal plan. You’d be shocked how much easier shopping is when you know what you’ll be making in advance. I leave myself some flexibility – maybe the rapini looks good and I’ll swap out the asparagus I’d planned to buy. Maybe I’ll just say “beef” as a protein and rely on whatever I can find that’s on sale or, even better, a “yellow tag” special that’s deeply discounted because it’s near its last day of sale. I do look at the circulars that come on Wednesday to help me plan, and the coupons that come the previous Sunday also guide my thinking. The key is that before I step foot into the store I already know why I’m there and what, specifically, I need to buy. This sort of planning is something I encourage clients to do with their businesses. Chasing the latest shiny object without some sort of a coherent plan rarely works out well. Yes, I’m a believer in just walking to the meat or fish or produce section, buying what looks good on an opportunistic basis, and going from there, but I’ve found that in general, I do better in the long run (and the wallet) by having a plan. Opportunities will always arise but we should only take advantage of the ones that make sense, given our overall plan. Next, once I have a plan I go through all the coupons, tossing the ones that have expired and matching the ones that haven’t to items that are on sale or in my meal plan. It’s rare that I purchase anything at full price unless there is a pressing need and I can’t find a brand on sale or with a coupon. Like you, I have preferred brands and I’ll stock up on them when they’re on sale. That sort of opportunistic and volume purchasing is something any business can do. Make commitments to providers for a long term in return for a discount. Don’t hesitate to take advantage of lower costs provided that you’re receiving equal value. By the way, this is how your customers think which is why it’s imperative that you emphasize that value you provide to go along with your reasonable costs. By the way, even if you don’t get a newspaper, most stores post their circulars online, and there are plenty of free online coupons you can print off and take on your trip. As in business, the key is research, planning, and the careful allocation of capital on those things that are in the plan. Make sense? A con-job that requires a certain amount of effort and as a namesake, is usually in it for the long haul. Gaining someone’s trust for a number of months and then when the stake is in your court and you have their complete trust–taking advantage of it. Usually denotes relationship status or high-level business partnerships. In less evil terms, the protagonists are playing the long game. They are less focused on short term success as they keep their eyes on the rich reward gained over the long term. I’m a big believer in playing the long game, both in business and in life. Let’s address the business part here. Their strategic planning horizons are consistently longer than those of less digitally mature organizations, with nearly 30% looking out five years or more versus only 13% for the least digitally mature organizations. Their digital strategies focus on both technology and core business capabilities. I’m always surprised at how many organizations have a short-term focus and which then wonder why they’re not gaining on their long-term goals. I’m not advocating spending time creating a 10-year plan or even a 5-year plan. I think seeing that far over the horizon is pretty much impossible in these times of rapid change. But I do think every business needs to have some long-term goals and a focus on meeting them while ignoring some of the short-term things that might cloud your vision. Maybe you’ve heard of The Marshmallow Experiment. A researcher put young children in a room with a marshmallow for 15 minutes, telling the kids that they would get a second marshmallow if the first was still there when the researcher returned. What’s interesting about this is that the researcher did follow up studies with the kids over the next 40 years. He found that the kids who chose to delay gratification (and get a second marshmallow!) did better in life. They had higher SAT scores, lower obesity, better social skills, and lower levels of substance abuse. They were playing the long game, even at 5. Are you?